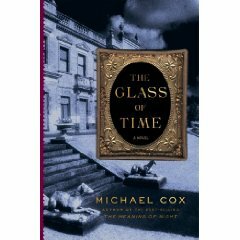 With The Meaning of Night, Michael Cox established himself as a top-notch writer of Victorian-era mysteries. 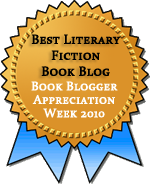 As I noted in my review, The Meaning of Night felt authentic in a way few of these pastiches do, so I was very excited to read the sequel, The Glass of Time, which I was lucky enough to receive from the Library Thing Early Reviewers program. The Glass of Time picks up 20 years after the events of The Meaning of Night. As the novel opens, a young orphan named Esperanza Gorst has taken a position as a lady’s maid to Baroness Tansor—the heiress to the fortune that was under dispute in The Meaning of Night. Esperanza has been sent to Evenwood, the Tansor home, by her guardian, Madame de L’Orme, who told her that she was to perform a “Great Task” that Madame would reveal in a series of letters. Those who have read The Meaning of Night will probably have little trouble figuring out much of the mystery here. I always felt like I was several steps ahead of Esperanza, mostly because I knew the history of Tansor family, and Esperanza was completely in the dark. What kept me reading was my desire to see how she would find out the truth and how the various characters would react. Others who haven’t read The Meaning of Night will share Esperanza’s confusion, but they’ll get the pleasure of watching the mystery unfold. Because Esperanza is herself an innocent, this book does not have quite the same dark tone as its predecessor. But it makes up for that by posing what seemed to be to be more complex moral dilemmas. The Meaning of Night endeavors to get us to feel sympathy for a murderer, but The Glass of Time causes us to question how far one should go in pursuit of justice. Edward Glyver is a man on a mission, focused on revenge, but Esperanza is a principled and generally likable woman following someone else’s directions and understandably filled with uncertainty about her actions. This is a marvelous addition to what has the potential to become a great series. At the end, there are hints that this story could continue, and I hope it does. According to Cox’s Web site, he originally envisioned the story as a trilogy, so that’s a good sign that there’s more to come. I’m tempted to beg everyone I know to go out and get this book, just to increase the chances that the publisher will want more. This is also my fourth book for the RIP III Challenge; with this, I have completed Peril the First and the challenge! I read this book and reviewed it on my blog. Very, very good! I’m getting my copy on Friday and will read it immediately. I can’t wait! Wandering about on the internet I came across your review of Michael’s books. I was particularly taken by your picture, is that you? It reminded me of Michael when he was young, always reading. In case you don’t know, he is not in the best of health, the cancer he has been fighting for years has finally claimed his sight. It was deteriorating as he was writing the Glass of Time. We have spoken about the third book and he still hopes to do it. It may take a while to be able to find a way of getting it onto his computer successfully. This is why I am finding reviews to read to him, he likes to know what people say, particularly any criticism they may have. Before he starts that he must finish the novella he is working on. I am not sure when that will be yet. I have today completed listening to The Glass of Time audiobook in my car. This past fall I listened to The Meaning of Night. Those of us who have experienced these two stories are fortunate for your son’s efforts, except we are deprived of the 3rd book in the series. Was there work done on the 3rd book which would allow it to be be published in some form in the future?